Leaving the single market will mean higher food prices due to tariffs, increased red tape such as customs checks and labour shortages caused by the end of EU free movement, Nick Clegg has said. The MP and former leader of the Liberal Democrats was speaking at the launch of the party’s latest report on Brexit which focused on the food and drink industry. 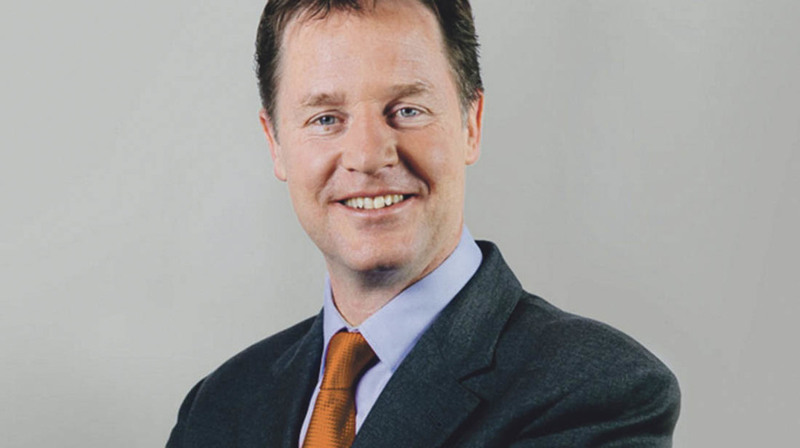 Mr Clegg said reverting to World Trade Organisation (WTO) trading rules would have ‘serious consequences for the farming industry’ and recommended keeping the UK in the single market permanently or maintaining British membership until a new trade deal is hammered out. “A hard Brexit will lead us off a cliff edge towards higher food prices, with a triple whammy of punishing tariffs, customs checks and workforce shortages. “We must hold Theresa May’s Government to account and fight to ensure what comes next is best for British consumers and farmers”, he added. The report says without single market membership, £11 billion worth of agricultural products the UK sells to the EU each year will be hit with an average tariff of 22.3 per cent. Tariffs of 59 per cent will be applied to beef imports, 40 per cent to cheese imports and 38 per cent to chocolate imports, it added. But a separate report by the Institute of Economic Affairs published shortly after Mr Clegg’s speech said Brexit will bring down the price of food because UK producers will no longer need to comply with the EU’s ‘costly agricultural regulations’. The report’s author, Sean Rickard, said 53 per cent of Defra’s regulations come from the EU or other international bodies and claimed compliance cost English farm businesses £590 million. He added: "Brexit holds many opportunities for reducing food prices in the UK. Not only will leaving the Common Agricultural Policy offer tremendous prospects to cut costs for hard-pressed Brits, our new trading options will be substantial." NFU Director of Policy Andrew Clark disputed both claims, saying regulation post-Brexit will depend on the trade deals the UK Government negotiates, so the impact on food prices is ‘anyone’s guess’.